The once stellar carrier of one of the nation’s leading cyclists Alanzo Greaves was abruptly halted late last year following an Adverse Analytical Finding – In-Competition Test on November 1st, 2015. Following is a full release on the decision of the Caribbean RADO Disciplinary Panel. On November 1, 2015, ten (10) cyclists were identified for In-Competition testing at the end of the Five-Stage Cycling Race. On November 27, 2015 Alanzo Greaves was informed of the Adverse Analytical Finding of Testosterone in his urine sample, via a “Notice of Charge and Provisional Suspension” issued by the Caribbean Regional Anti-Doping Organization (RADO). He responded to the RADO Notice, by letter of December 7, 2015. His case then underwent “Results Management” by the RADO Disciplinary Panel. 1. Mr. Greaves admitted the charge, but stated that the infraction was not intentional. 2. This is his first violation and he waived his right to have the “B” sample analysed. 1. 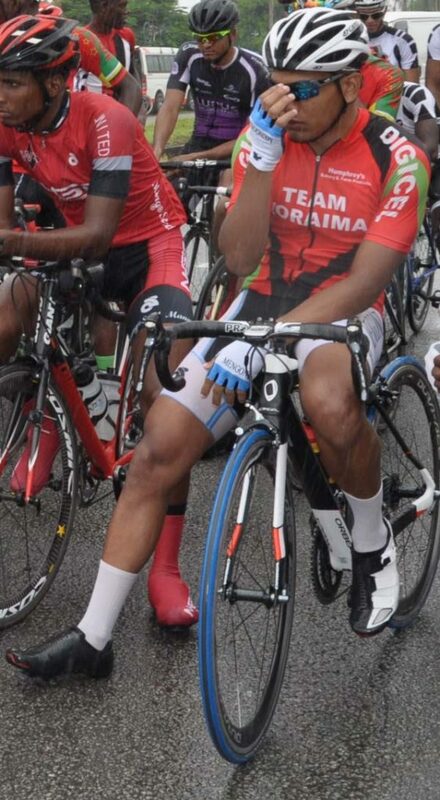 Mr. Greaves shall be disqualified in respect of the Tour of Guyana Five-Stage Cycle Race and any prize money and ranking points obtained therein shall be forfeited. 2. He is ineligible to participate in any capacity in any event or activity or competition authorised, organised or sanctioned by the Guyana Olympic Association for a period of twelve (12) months. 3. He is ineligible to participate in any capacity in any national, regional or international sport activity for a period of twelve (12) months. 4. The twelve (12) month period of ineligibility referred to in 2. and 3. above started on November 1, 2015 and ends on November 1, 2016.